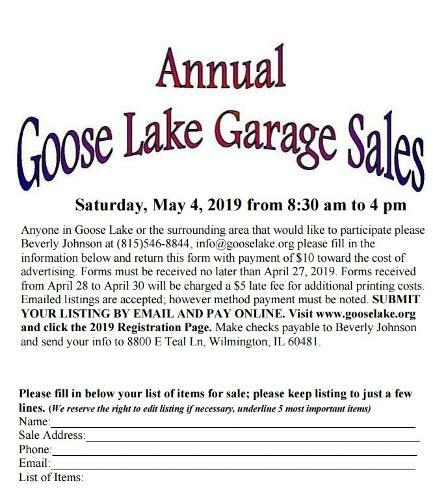 Click on the form to download a PDF file of the 2019 Registration form for the 2019 Goose Lake Annual Garage Sales or see the notes below for electronic submission. If you submit your listing through email I will send you a confirmation be sure to have your garage sale listing paid by the deadline. Click on the registration form to download your form to send in.